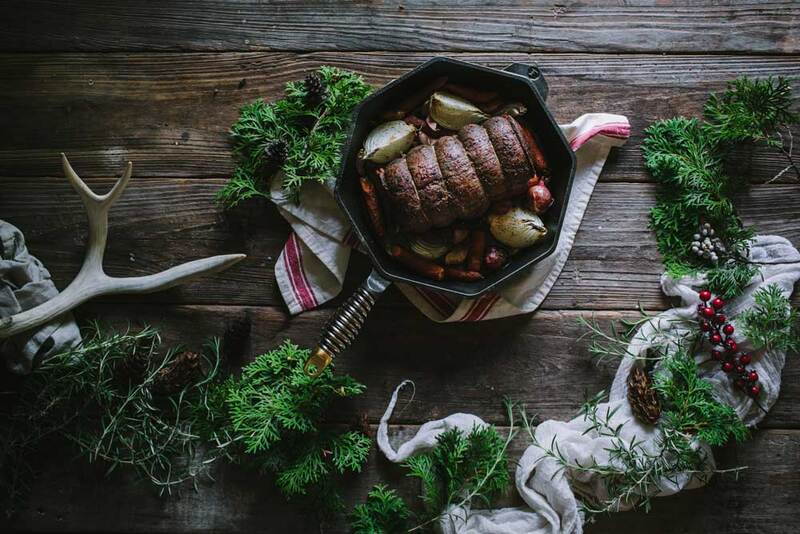 Rosemary Roast Beef | FINEX Cast Iron Cookware Co.
Seasoned with fresh rosemary, this tender and juicy roast is as beautiful as it is delicious. 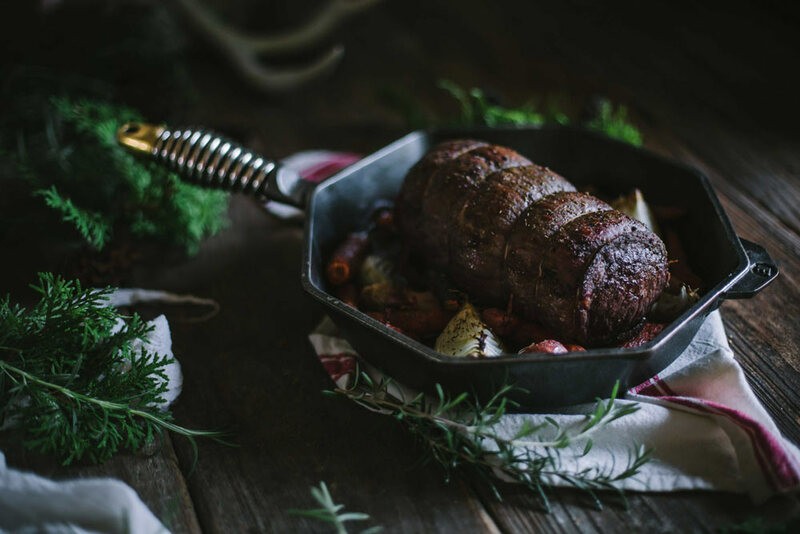 We partnered with Eva Kosmas Flores of Adventures in Cooking to create something a little different than the traditional poultry and hams for this Thanksgiving. Plus, this dish is simple, easy and takes less time than you think – set it and forget it! A three-pound roast beef will only take one hour. 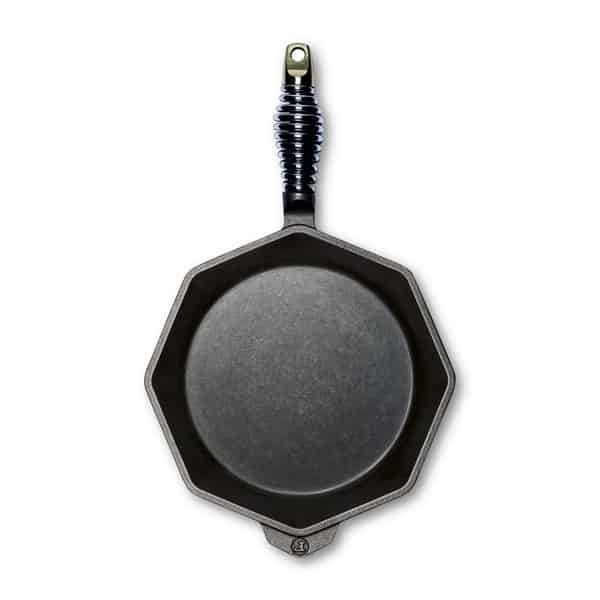 We used a FINEX 12″ Cast Iron Skillet for ours. Remove the beef from the refrigerator 30 minutes before you put it in the oven to allow it to come to room temperature. Preheat the oven to 400 degrees Fahrenheit. While the beef is resting, mix together the salt, pepper, rosemary, thyme, garlic powder, and oregano in a small bowl until combined. Place the vegetables in a large cast iron skillet and toss them with 1 tablespoon of the olive oil and half of the spice mixture until they’re coated. Set aside. Rub the beef down with the olive oil and the remaining spice mixture. Place the beef in the skillet, fat side up, arranging the vegetables around the roast. Add the beef stock to the skillet and place it in the oven. Roast for about 1 hour for medium-doneness, basting with the pan juices every 20 minutes. The beef will be 135 to 140 degrees Fahrenheit when measured with a meat thermometer for medium, and 125 to 130 degrees Fahrenheit for rare. 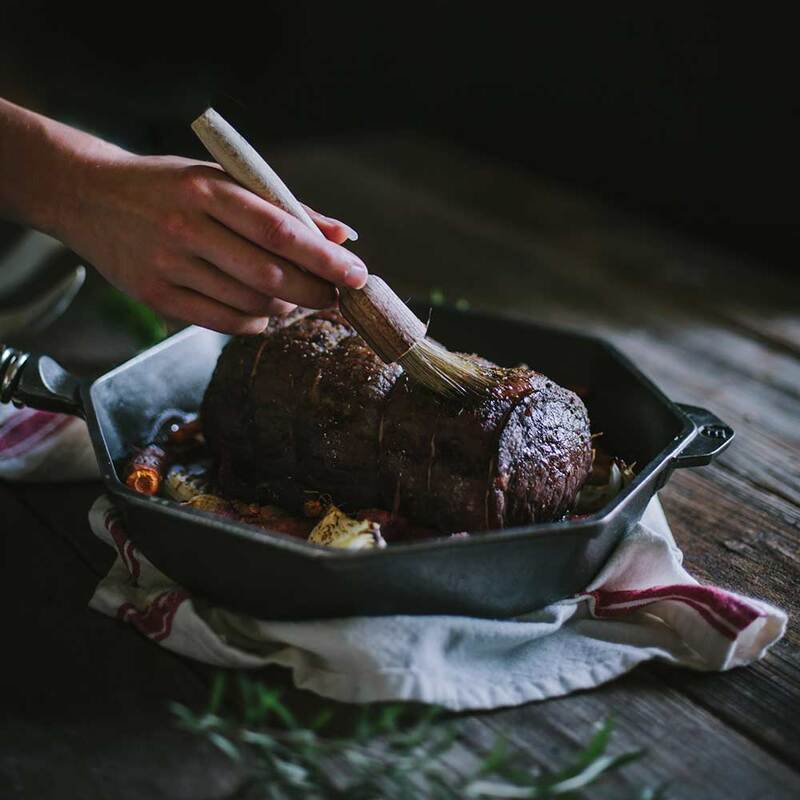 Remove from the oven, place the fresh rosemary sprigs around the beef, and allow to rest for 10 minutes before carving and serving. We eat with our eyes so garnish dishes with fresh herbs to make them pop. Especially for roasts, the fresh herbs add both flavor and color. Serve this dish with some the Maple Glazed Carrots for a full meal.